Defence Standard 02-833 or NES 833 is a 10/5/5 Nickel Aluminium Bronze manufactured in accordance with MoD (Navy) requirements. One particular difference from standard 10/5/5 Aluminium Bronzes is the need for the nickel content to be higher than the iron content. This improves the overall corrosion resistance of the alloy by helping to eliminate any deleterious phases within the microstructure. Other tests are also required, including a minimum impact strength (on all sizes above 15mm) together with a full ultrasonic test to meet the requirements of DEF STAN 02-729 Part 5 for Grade 1 material. Defence Standard 02-833 is primarily used in the marine and offshore industries for fasteners, pump and valve components, pipe fittings, deck fittings and heat exchangers due to its high strength and toughness (even at cryogenic temperatures), combined with excellent corrosion resistance in seawater. 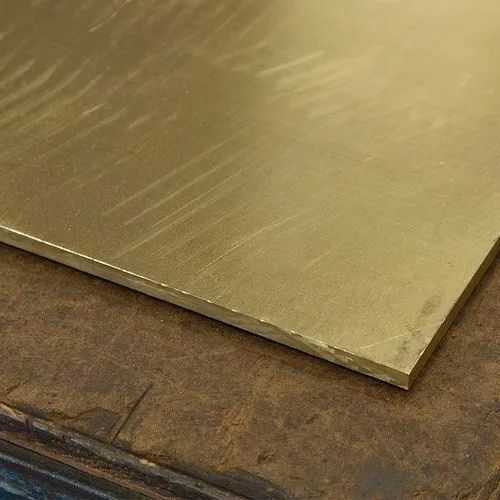 The inherent wear and abrasion resistance of this Aluminium Bronze combined with its non-sparking properties also lends itself to applications such as bearings (especially under heavy loads), wear plates, thrust washers, bushes, safety tools, worm wheels and gears. *Nickel content to be higher than the iron content for the latest Def Stan specification. Incepted in the year 1998 at Mumbai (Maharashtra, India), we "Manibhadra Exports" are the leading manufacturer, wholesaler, exporter, trader and importer of a wide range of Brass Angle, Brass Channel, Brass Rod, Bronze Rod and Bar, etc.